The Upswing Poker Lab is a poker training course taught by Doug Polk and Ryan Fee. The Lab is updated regularly with in-depth learning modules, theory videos, and a wealth of information to make you a better poker player. The reality of playing out of the small blind is a bleak one. Every player, no matter how good, is expected to lose money from this position over the long-term. The most obvious reason why is the premium you pay—one-half of a blind—to see a hand you’ll likely end up folding. Another is that when you do take a flop, you are in the worst possible position: first-to-act with the least amount of information. It’s not all doom and gloom, though. With just a few adjustments, you can significantly improve your overall win-rate from the small blind. In this article, we’ll discuss four such adjustments. These are essential for sharpening your small blind play. Yet they’re simple and have only to do with preflop strategy, meaning you can implement them easily and immediately. Many players defend too many hands from the small blind by reasoning that they are getting an improved price to call. However, a one-half big blind commitment is not a particularly large one in practice, and so it should not change your calling range like it does in the big blind. Against a button raise-first-in, for example, a big blind defending range should theoretically contain over twice as many hands (around 45 percent) as an small blind defending range (~21 percent). Avoid falling into a trap of over-defending from the small blind. Playing a weak range out-of-position is, frankly, a recipe for disaster. If you defend with too wide of a range, you’ll find yourself burning money without realizing your equity enough of the time. The easiest preflop adjustment you can make to mitigate your small blind losses is to steal the blinds as often as possible. This can be done when all the players acting in front of you have folded, leaving only you and the player in the big blind left to act. There is dead money up for grabs in these situations (1.5bb in cash-games and closer to 2.5bb in tournaments with antes), so you can profitably open a wide range of hands. Moreover, players commonly over-fold from the big blind, and many fail to defend as wide a range as correct theory dictates. You can exploit these tendencies by raising from the small blind at a higher frequency. Note, however, that a smaller opening size (2–2.8x) should be increased to a minimum opening size of 3×. This is to prevent the big blind from getting too good of a price on a call, generating more fold-equity as a result. To give you an idea of what this small blind open-raising range can look like, have a look at the Table 1. Flatting from the small blind should be avoided in cash games. Not only are you at an informational disadvantage, but by flatting you cap your range and give the player in the big blind a profitable opportunity to squeeze. A much better option than flatting is to three-bet. By three-betting, you have a chance to take down the dead money in the pot without having to play the rest of the hand out-of-position. And when your three-bet does get called, it’ll likely be by just one or two other players. We won’t go over any specific range charts, here, as your three-betting range from the small blind should vary depending on the position and size of the raise-first-in. In general, though, you should be three-betting a fairly tight range of hands, as playing out-of-position is much easier to do with a stronger range. This range should also be balanced with bluffs that realize their equity well, along with providing good board coverage (include some suited connectors, such as 8-7 suited, to go along with your stronger Broadway combos). Unlike cash games, flatting from the small blind in tournaments is sometimes acceptable. This is because the price you’ll get on a call is often better than in cash games as a result the smaller opening-size commonly used in tournaments (2–2.5x versus 2.5–3.5x in cash-games) along with any antes in play. In fact, as stacks get deeper, flatting is more acceptable since your implied odds improve. For shorter stacks (<20bb), however, calling from the small blind should usually be avoided. Take note of the player to your left, and be prepared to adjust your small blind strategy to their tendencies. This is particularly important with regard to stealing: In response to an aggressive big blind player, who is regularly three-betting your steal attempts, you should tighten up. Conversely, if the big blind is a total nit, expand your opening range and punish them for their weak play. 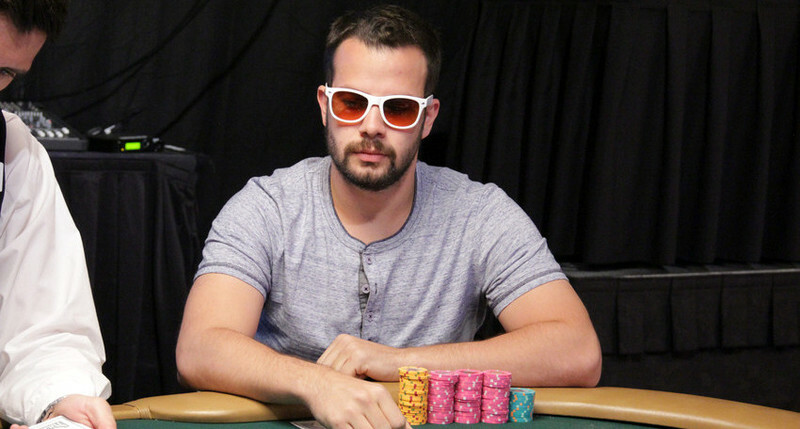 Philadelphia native Ryan Fee is one of the top poker minds in the game today, with a WSOP bracelet and more than $3 million in live tournament earnings. Fee is also a lead instructor at UpswingPoker.com. The Upswing Poker Lab is a poker training course updated regularly with in-depth learning modules, theory videos and a wealth of information to make you a better poker player. Sign up for the Upswing Poker Lab today for step-by-step instructions and examples to master both the fundamental theories and situational exploits to greatly increase your skill and earnings.